I love Leanne's 4th of July mantel! The fun pinwheels in the apothecary jar. The patriotic star art. 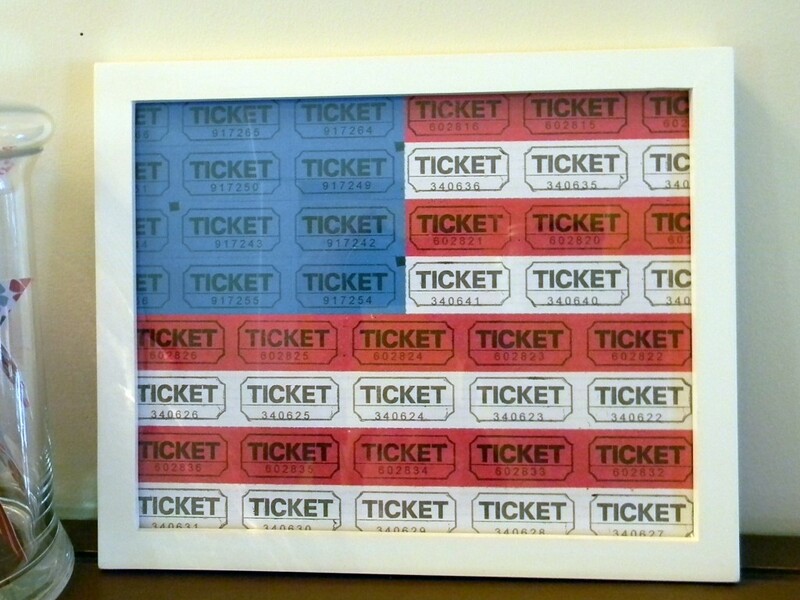 And especially the flag made out of tickets. 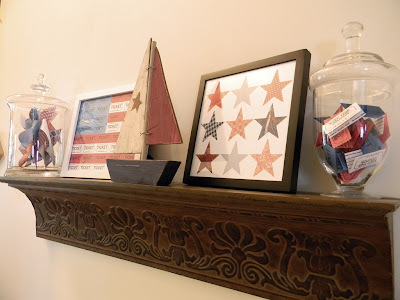 You can check out how to make the flag over at Organize and Decorate Everything. Thanks for posting about my tickets flag. I love decorating for the 4th. Hope you had a wonderful weekend.